2) to raise awareness about the importance of diatoms among a broad audience, including students of different disciplines, policy makers, and the general public. This blog series was started in November 2015 by Luca Marazzi, Postdoctoral Associate in Evelyn Gaiser’s lab at Florida International University, as part of the outreach initiative of the Florida Coastal Everglades Long Term Ecological Research program, and thus hosted on the FCE LTER “Wading through research” graduate student blog; 12 posts have been published on this outlet so far and shared via mailing lists, on Facebook, Twitter, and LinkedIn. The plan is to more widely share the “Diatom of the Month” posts to enhance communication about diatom biology, taxonomy, ecology, diatom art, and so on to increase global awareness about these important and beautiful algae. Contributions and ideas that fulfill the aims stated above can be sent to ‘[email protected]’. Blog posts targeted to specialists can be submitted and published, but ideally most articles / features would appeal to a much broader audience, including people who may have never heard of diatoms before. Each blog post is usually ~500-800 words, contains a few pictures / figures, and a few references and hyperlinks to interesting additional information and sources. This project page has been updated on 2017 August 11 to add participants and taxa. This project page has been updated on 2017 October 18 to update the web location of the project and to add participants. 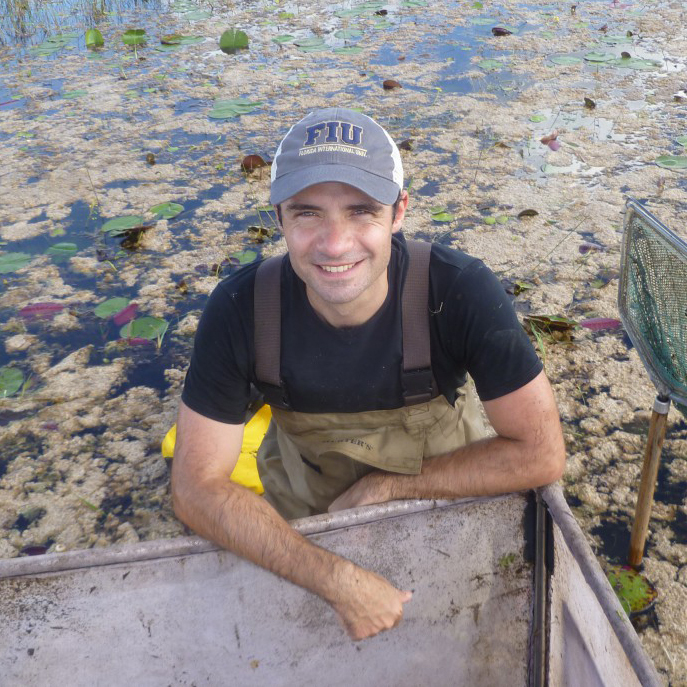 Luca Marazzi surrounded by periphyton mats in the Everglades marshes during the 2015 Comprehensive Everglades Restoration Plan sampling campaign.